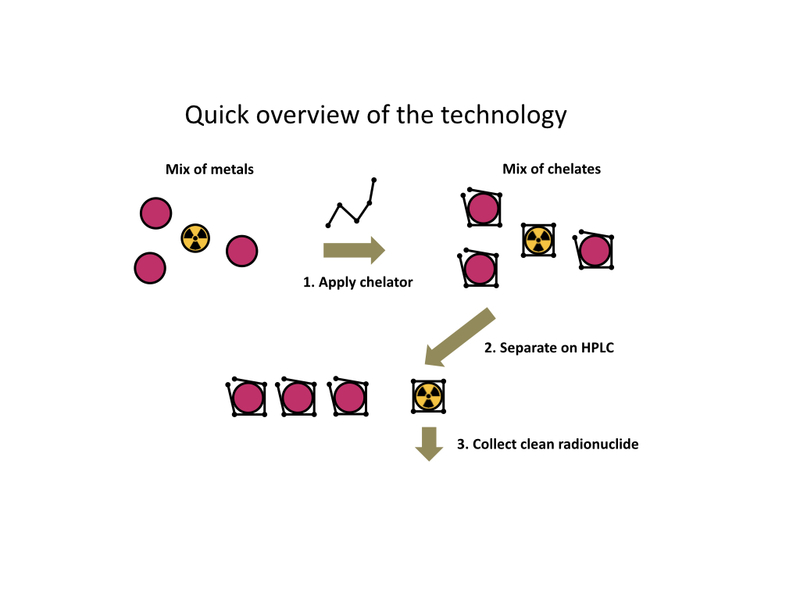 Our solution: We developed a new class of organic molecules (chelators) that greatly simplify purification of metal radionuclides. We let the molecules do the hard work. 1. The chelator wraps around the metal to forma complex. Thanks to this molecular coat, the metal behaves as an organic molecule. 2. The chelator is carefully tailored to fit the metal radionuclide. It does not fit well other metals, even if they are chemically similar. The metal complexes behave as different organic molecules. 3. The complex of the radionuclide is easily separated by high-performance liquid chromatography (HPLC). 4. The metal radionuclide is released from the complex with mild acid. 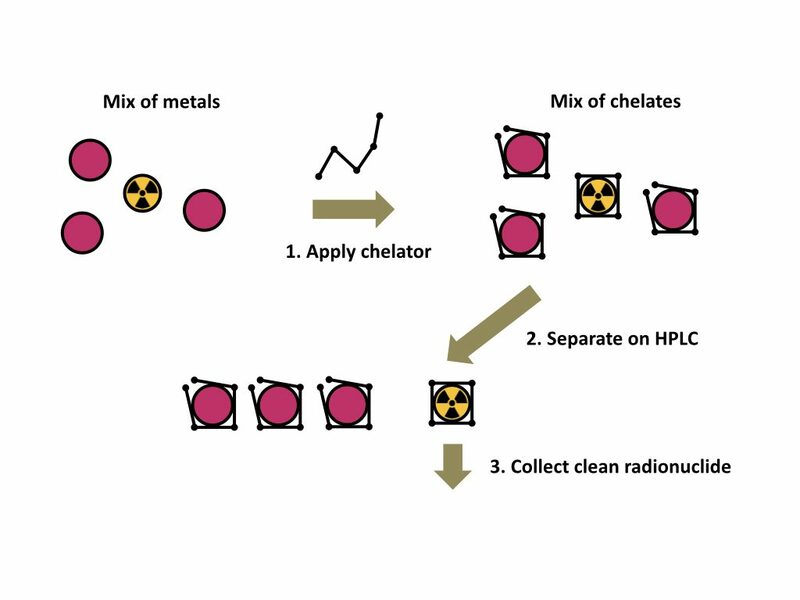 Chelator is removed by solid-phase extraction. • Technology compatible with conventional HPLC systems. • Green chemistry – no toxic chemicals. • All procedures can be automated. • Fast separation process (< 10 min). • No need to use solvents additives. • Extremely similar metals can be separated (e.g. lanthanides). The technology is offered for co-development and licensing. European patent application with priority date in 2017. Institute of Organic Chemistry and Biochemistry AS CR, v.v.i.